Panoramic group the trusted name engaged in various travel activities is having its own travel portal called Travelhot.in specially providing all the required details for the first time travelers as well as for the regular vacationers who always try to visit some exciting new locations. Our portal is having information about Indian as well as International holiday packages. These holidays are basically categorized into standard, superior, deluxe and Luxury categories. Totally standing different from the other holiday tour packages are our Himachal Pradesh tourism packages including packages like Himachal delights, Himachal Splendor, exciting Himachal, northern delights, and various Manali packages each offering you a choice of a different Hotel location. Himachal Pradesh tourism include major attractions like Kullu, Manali and Shimla. A few hotels included in Manali are Sitara international, the Royal Grand, Manali palace, Ankit palace and hotel Jessica manali. We offer Jammu Kashmir tourism packages like Kashmir delights, best of Kashmir, Vale of Kashmir, Jammu Kashmir Katra, Dreamland Kashmir and Kashmir delights, Major attractions of Kashmir being Srinagar, Gulmarg, Sonmarg,, Pahalgam and Vaishnodevi. Kashmir gifted with many lakes and wide spread scenic places, so serene and tranquil that you will get the feel of heaven on earth. For the tourists interested in Karnataka Tours we have tour packages of Banglore Mysore Ooty like scenic south, Classical Karnataka, Blue mountain tour and Hills of Tamilnadu. Also some special packages for Ooty. The best locations being Banglore, Mysore and Ooty. These places mostly being hill stations will give you excellent climatic pleasure. Banglore especially is popular as garden city. Mysore is having huge reserved forest and well known for its sandal wood. Darjeeling Gangtok tourism packages include packages like Queen of the hills, splendor Himalaya, Green Dooars, Himalayan Tranquility , Lost Kingdom, Mystery mountain, Himalayan golden triangle, sweet eastern Himalaya, splendid hills, hills of Bengal and many more. The Mall, Chowrasta, and Observatory hill are the some of the best places to visit. Darjeeling being located on high mountains provides you the charm of scenic beauties along with best cheering climate. Our Leh Ladakh tour packages include wanders of Ladakh, Valley of flowers with Pangong, Glimpse of Ladakh, Mystique Ladakh, Honeymooners Delight, valley of Ladakh and explore Ladakh packages. The places of interest being Kargil, zanskar valley, shyok Valley and Padum valley. Leh ladakh located in the hills with occasional snowfall gives you a taste of adventurous travel. For the most demanding destination like Kerala we have south India tour packages like backwater magic, splendors of Kerala, best of kerala and monsoon mania. 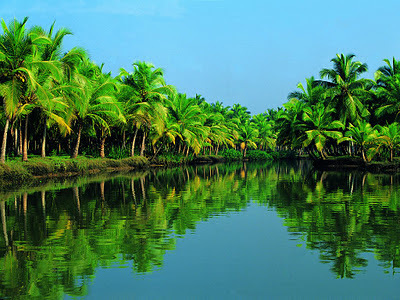 The places of interest in Kerala being Alleppey, Cochin, Kovalam, Munnar and Warkala. They are the best tours for exploring Kerala backwaters and Kerala Ayurvedic treatments.